All our olive groves are solely the Koroneiki variety. Its wonderful taste and texture have rightly given the designation of “olive queen”, offering us a very praiseworthy final product. The unripe olives offer us low acidity oil, very rich in antioxidants and polyphenols, valuable nutrients that make olive oil a top food necessary for the immune system and our body in general. The oil from Koroneiki olives has a fruity flavor with pleasant light burning, a soft aftertaste and a subtle bitterness. According to the European Regulation 432/2012 (L 136 / 25.5.2012 p. 26), the Health Claim, can only be the oil that contains at least 250mg polyphenols per 1 Kg of oil. 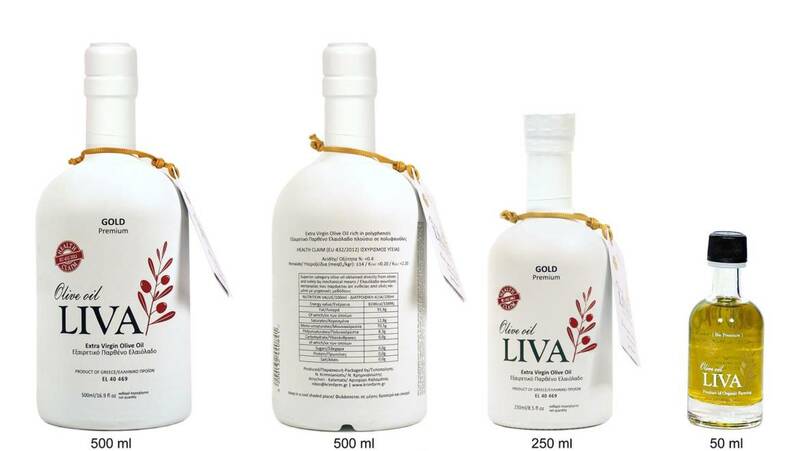 The Liva Olive Oil, far exceeds this limit and bears the certification of Health Claim which is given to olive oil that contains at least 250mg polyphenols per 1 Kg of oil. 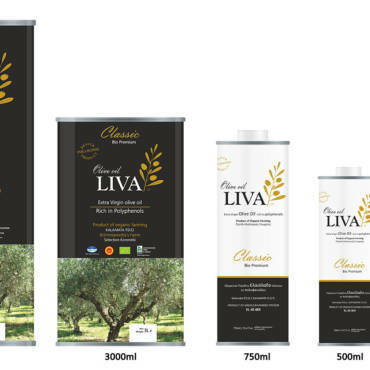 European regulations require that oil extraction should be below 27c to characterize a cold extraction olive. 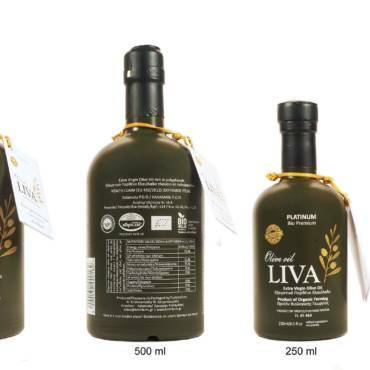 The production of our olive oil is strictly at 23 degrees celcius, and takes place in the two phases mill of Aris Christopoulos in Ariochori, which is certified PDO and BIO. According to the acidity, olive oil is classified as Extra Virgin Olive Oil (Extra Virgin Olive Oil) if the acidity is <0.8%. 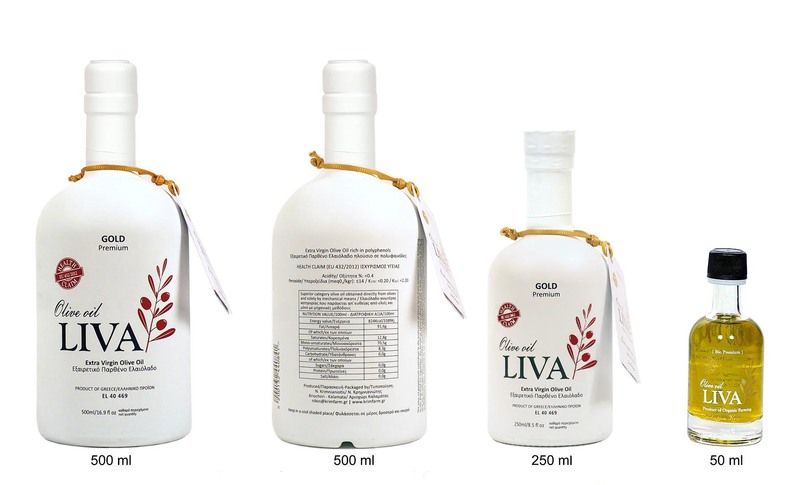 Our own olive oil is acidity 0,2% mg ± 0,05. One of the biggest enemies of the olive oil is light. 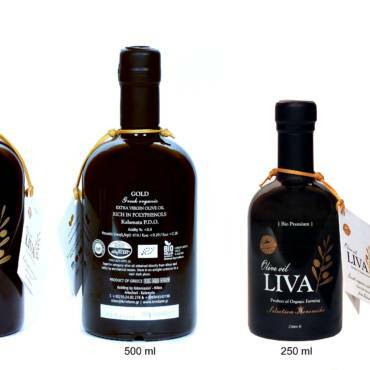 Our own olive oil is packaged in containers with glass bottles protected by cardboard or wooden packaging.